Yesterday (Aug. 10) was the deadline for candidates to file for the Nov. 6 election in most City Council, school board and special district races. Candidates in races where one or more eligible incumbents are not running for re-election have until Wednesday (Aug. 15) to get on the ballot. In the Post’s circulation area, there will be 22 races featuring at least 109 candidates, a number that will likely grow after Wednesday. That includes a five-way race for Palo Alto City Council, a five-way race for Palo Alto school board, 10 candidates for the Ravenswood City School District Board, eight for Menlo Park City Council and seven for both Redwood City and East Palo Alto councils. Incumbents Eric Filseth, Tom DuBois and Cory Wolbach are all running for re-election, as are former Palo Alto Library Foundation President Alison Cormack and former TV reporter Pat Boone. Incumbent Ken Dauber is running for re-election, while Terry Godfrey is stepping down. Special ed advocate Stacey Ashlund, 21-year- old Palo Alto High School grad Alex Scharf, 28-year-old litigator and Gunn High School grad Shounak Dharap and Paly parent and school district critic Kathy Jordan are running for the two open seats. Incumbents Lenny Siegel and Pat Showalter are both running for re-election while Ken Rosenberg is not. Other candidates include planning commissioners Ellen Kamei and Lucas Ramirez, former city planner Alison Hicks and former Mountain View Mayor John Inks. Three seats will be up for election in Menlo Park, but they will not be open to everyone in the city, since the council has switched to district elections. Instead of voting for three candidates, residents will just get to select one council member to represent their district. Council seats for Districts 1, 2, and 4 are up for grabs this year. In District 1, which covers the Belle Haven neighborhood, former council candidate Cecilia Taylor, Sister City Commissioner George Yang and newcomer Mike Dunn are running. In District 2, which covers the Willows, Suburban Park and Flood Triangle, Councilwoman Kirsten Keith will be facing Planning Commissioner Drew Combs. Running for District 4, which represents part of the downtown and West Menlo neighborhoods, as well as the Allied Arts neighborhood, are Mayor Peter Ohtaki, Complete Streets Commissioner Betsy Nash and Finance and Audit Committee member Ron Shepherd. Councilman Rich Cline, who also lives in District 4, has said he won’t seek a fourth term. 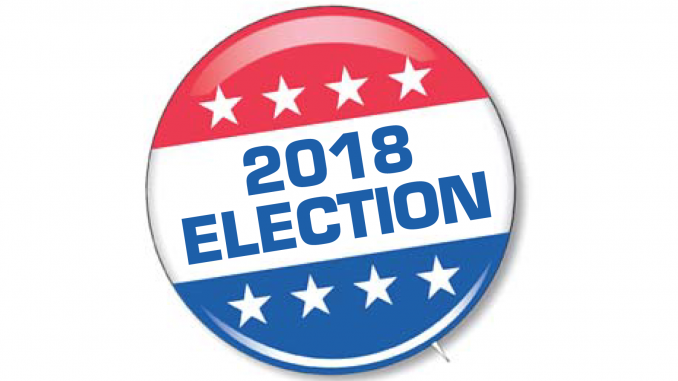 The election for Atherton Council has been canceled, as only incumbents Bill Widmer, Rick DeGolia and Mike Lempres have filed paperwork saying they will run. Redwood City has a wealth of council candidates, with seven announcing they are running for three seats, two of which will not be filled by incumbents. Councilmen John Seybert and Jeff Gee are not seeking re-election, which means the filing deadline has been extended until Wednesday. Vice Mayor Diane Howard, planning commissioners Giselle Hale and Ernie Schmidt, former planning commissioner Rick Hunter, renters advocate Diana Reddy, Christina Umhofer and Complete Streets Commissioner Jason Galisatus are running. As of yesterday, it appeared that the Belmont Council election will be canceled, as only incumbents Warren Lieberman, Charles Stone and appointed Councilwoman Julia Mates have qualified to run, according to the city’s website. Britto Vincent and Deniz Bolbol pulled papers to run but it was unclear whether they had returned them. All three incumbents on San Carlos council — Matt Grocott, Bob Grassilli and Cameron Johnson — are not running, so candidates have until Wednesday to file. So far three residents have announced they will be running — former San Carlos School District trustee Adam Rak, Economic Advisory Commissioner Sara McDowell and Single-Family House Advisory committee member Laura Parmer-Lohan. 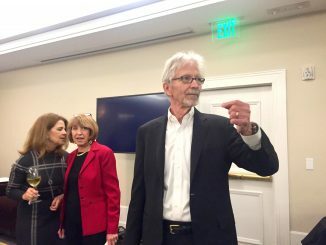 Three additional residents — former Planning Commissioner Angela Harper-Pedersen, business executive Ken Castle and former member of the San Mateo County Civil Grand Jury John McDowell — have pulled papers to run. Seven people are running for two seats on East Palo Alto Council — incumbents Ruben Abrica and Donna Rutherford, eBay Executive Regina Wallace-Jones, former planning commissioner Court Skinner, Public Works and Transportation Committee Member Bernardo Huerta, community activist Patricia Lopez and newcomer Randal Fields. Incumbent Ellen Wheeler is running for re-election while Greg Coladonato is stepping down. Tamara Becher Patterson, a product manager and district parent, is running for Coladonato’s seat. Incumbents Fiona Walter and Debbie Torok are running for re-election unchallenged. Incumbent Jean Mordo is running for re-election, while Mary Prochnow is not. Planning Commissioner Anita Enander, Nancy Bremeau and attorney Neysa Fligor have all pulled papers. None of the candidates have qualified for the ballot, but they have until Wednesday to do so. Incumbent Bryan Johnson is running for re-election while incumbent Vladimir Ivanovic has pulled papers, but not yet qualified for the ballot. Because Sangeeth Peruri is not running for re-election, Ivanovic and challengers Shali Sirkay and Ying Liu have until Wednesday to run for three open seats on the five-member board. The board — which represents a district that spans from Belmont to East Palo Alto, from Woodside to Redwood Shores — also has district elections this year. The races are for Menlo Park-based District D, and District A, which covers Belmont, San Carlos and part of Redwood City. There are board incumbents who live in both districts — Alan Sarver in District A and Chris Thomsen in District D — and both are running with no challengers. The college board split into districts this year. District 2 covers North County (South San Francisco, Daly City, Colma and Broadmoor) while District 4 encompasses San Mateo, Belmont and Foster City. Incumbents Thomas Mohr and Richard Holober are running against each other, since both live within the District 4’s boundaries. Daly City resident Thomas Nuris is running for the District 2 seat. Three seats are up for grabs and three people have filed to run — incumbent John Earnhardt, nonprofit executive Dana Nunn and tech executive Jon Veverloh. Parents Scott Saywell and Sherwin Chen are running, as is incumbent Stacey Jones. Fellow incumbents Terry Thygesen and Joan Lambert are not seeking re-election. There are three seats open this election and because Lambert and Thygesen are not running, candidates have until Wednesday to file. Ten candidates will be running for three seats on the Ravenswood school board. They include incumbents Ana Maria Pulido, Charlie Mae Knight and Marcelino Lopez. Also running are former Ravenswood student Julian Garcia, Nicole Sbargia, a teacher’s aide and parent of Ravenswood students, Stephanie Fitch, a curriculum developer and former teacher, Laura Nunez, a teacher for East Palo Alto Academy high school and former Ravenswood student, Tamara Sobomehin, who works for StreetCode Academy, a nonprofit that teaches children how to code, former Ravenswood administrator Brooke Crosby and newcomer Daniel Cesena. The district is divided into wards, and in Area 2, incumbent Maria Diaz-Slocum is running unopposed. In Area 5, Arnulfo C. Prado Jr., a middle school coordinator, is running against parent Cecilia L. Marguez. Trustee Hilary Paulson is not running. Six candidates are running for three seats on the board. Incumbents Suvarna Bhopale and Amy Koo are defending their seats against challengers Rahila Passi, Shaunna Solorzano, Honglin Su and April Northrup. Incumbent Peter Fung is running for re-election while incumbent Gary Kalbach is running for a two-year seat to finish out the second half of Dennis Chiu’s term. (Chiu retired, and Neysa Fligor took over for him, but is stepping down in November.) Incumbent David Reeder is not running for re-election. Former Mountain View Mayor Mike Kasperzak is running for a seat. Nonette Hanko, who has represented Palo Alto, East Palo Alto, Menlo Park and Stanford on the board since its inception in 1972, is stepping down. Palo Alto Councilwoman Karen Holman is the only person running for her District 5 seat. Since the incumbent, Hanko, isn’t running, the filing deadline for candidates has been automatically extended until Wednesday (Aug. 15). Yoriko Kishimoto, who represents Palo Alto, Stanford, Los Altos, Los Altos Hills, Cupertino and Sunnyvale in District 2, is running for re-election. Nobody is running against her. Gary Kremen, who represents northern Santa Clara County on the water district board, is running for re-election unopposed. Incumbent Peter Carpenter is not running this year, leaving one of three available seats undefended. Incumbent Chuck Bernstein and appointed board member Robert Jones are both running, as is former San Mateo County Civil Grand Jury member Jim McLaughlin and district volunteer Sean Ballard. Information on the race for this board hadn’t been updated on Friday, but it appears that incumbent Robert Bernardo is not running, while incumbent Ed Larenas is. Also running are former Brisbane Mayor Sepi Richardson and San Mateo County sheriff’s Sgt. Henry Sutter. 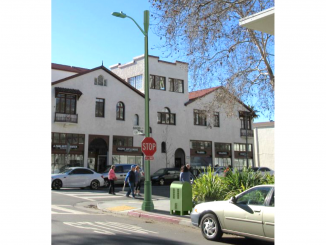 Nancy Reyering, a former member of Woodside’s Architectural and Site Review Board, has pulled papers to run. The Sequoia Health Care District, which covers southern San Mateo County, is switching to district elections this year. Zone E (which consists of the district west of I-280), Zone A (the district east of Highway 101) and Zone C (San Carlos and Emerald Hills) are all up for election this year. In Zone A, retired nonprofit CEO Michael Garb, incumbent Art Faro and former Foster City mayor Art Kiesel are running. In Zone C, incumbent Jack Hickey and physician Aaron Nayfack are running. In Zone E, incumbent Jerry Shefren and Belmont resident Harland Harrison are running. Harrison, Hickey and Kiesel are running as a slate that is promising to dissolve the district and eliminate the property tax it collects, Hickey told the Post. It looks like there will not be an election for the sewer district, as no challengers have emerged against incumbents Roy Thiele-Sardina, Edward Mortiz and George Otte.